If there is a perfect time of the year to visit Las Vegas it is in the month of April. The drawback is that Spring Break also happens at this time of the year so everyone else wants to be in Las Vegas as well. However, just because the temperatures are perfect in April does not mean that it is all about working on your tan. Consider lunch on the patio at LAGO and an evening of dancing at XS at Encore. Breakfast at Mon Ami Gabi works as does cocktails at Rhumbar at Caesars Palace. Long story short, spend plenty of time outside during April in Las Vegas because this is what comfort feels like. Other spots to enjoy the perfect Las Vegas weather include The Park Las Vegas, The LINQ, and The Downtown Container Park. April weather in Las Vegas is ideal for everything. 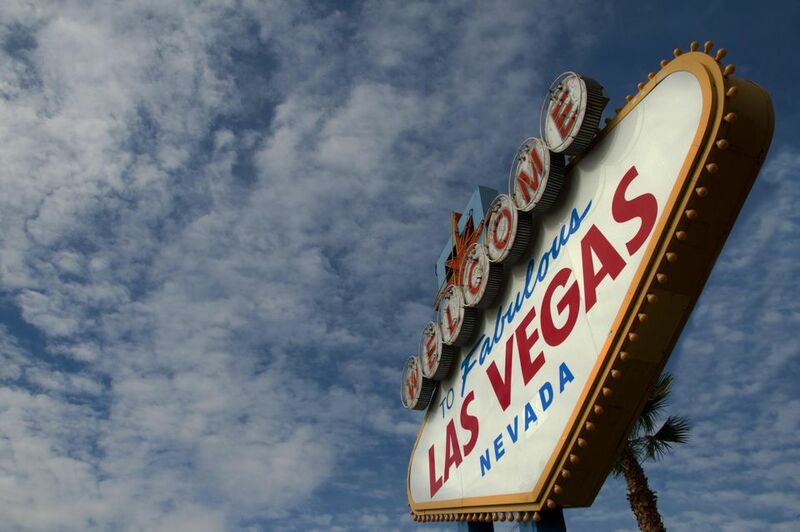 This is the time of the year when you consider relocating to Las Vegas because the daytime temperatures are mild yet the sun sits high in the sky. Nighttime temperatures dip a bit but nowhere near being cold. There is an occasional April shower but those are rare. April is also when pool season starts. There will be a few days when you consider going in early but the poolside entertainment will keep you on the pool deck but out of the water. If you're more of a golfer, you're in luck. April weather is awesome for playing golf, and the time change gives you far more time to hit the links. You might encounter some wind in the late afternoon but not enough to hamper your game. The weather is comfortable in April, especially when the sun is up in the afternoon, but at night the temps do drop. You'll need shorts and T-shirts during the day, and it would be wise to bring a sweater for the evenings. If there is a best time to walk the strip in Las Vegas it is October and April. The temperatures are perfect for walking in summer dresses or shorts but they are not so obscene that you need to spray yourself down with SPF 50 at every chance you get. You should still drink plenty of water but it by no means is hot. Walking shoes are very important if you'll be exploring the Strip (it's much longer than you expect), and for those planning to hit the nightclubs, you'll want to bring a heels and dressy outfits. Spring break is in full swing as April starts and that can only mean that the weather at this time of the year is perfect for afternoons at the pool and evenings at a club. Plus, there are plenty of free outdoors activities in April for those who want to escape the Strip. Death Valley: The conditions in April are fantastic for a day trip to Death Valley or the Springs Preserve. Wet Republic: The MGM Grand hosts this rowdy Spring Break party; expect to see champagne showers and dance-heavy DJ sets. Great Vegas Festival of Beer: On April 5-6, 2019, foodies can check out this festival, where they can taste more than 500 kinds of craft beer as well as eat at the many food trucks and local stands. Easter falls on April 21, 2019 so plan far in advance if you want to visit during this busy holiday weekend. There can be a lot of spring break action around town so be prepared for a younger crowd at the pool and the casino. Airfare and hotel rates are slightly lower during the spring shoulder season, meaning you're more likely to find good deals if you book ahead.